As soon as I read those words, I knew I had to call her. I sent her a DM to call me with my number. I even joked that I normally do not give out my number even though it is listed everywhere for my business. I am very accessible person, and there is a reason behind that. There is no guarded surface behind my success story, but I still have to watch out for the dangers of giving my number to strangers. I knew from this person’s posts, however, that she was someone I must talk to. 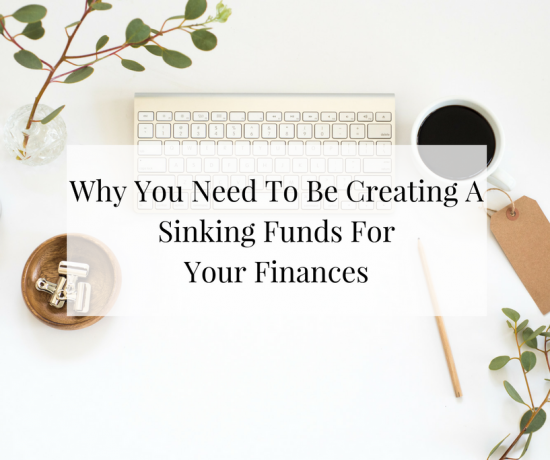 During our call, she mentioned how everyone says that for you to be a success, you need to make money or that your income needs to be steadily filling your bank account. Let me just dispel these rumors here and now. Was Nelson Mandela, Mother Teresa, Albert Einstein, Martin Luther King Jr. or Gandhi millionaires or better yet billionaires? Nope, but they are the epitome of success to me. They followed their passions and did what they loved daily. How many people do you know can raise their hand and say they truly do what they love, and that it has nothing to do with their paycheck? There is a huge misconception of what it means to be successful. Do not let “celebrities,” Instagram propaganda, or stunt-by-night-social-media-140-characters fool you about what success really is. First, you need to define your own terms of success—not the Webster’s definition of success or even what Richard Branson said his terms were in an interview. You need your own definition, you need to live by it, and redefine it when you reach it. The first time I was successful was when I took my idea and made it a reality. So many say that they want to start a business, but then they never get off the couch. The best way to be a success is to get off the couch (whether hypothetical or actual) and do something. The second time I was successful was when someone I do not know on any level or have connections to shopped my store. The third time was when I received an international order. The fourth time was when I got a customer I did not know shop with me more than three times. Remember, I am a niche resale site not a site with multiples of the same items. I could go on and on about how I define the terms of my success, but you get the point. Success evolves with time, and finances do not define it. Yes, you can read books, attend conferences, have mentors and more, but remember to take what you need from the advice you receive and disregard the rest. Not every piece of advice will work for you or your business. You just need to fulfill your purpose, and define your own levels of success. Work towards those goals daily. Everyone views success differently, and you should see it in your own special way too. Being able to wake up at nine then go into my office still in my PJ’s is success. Taking off in the middle of the week to visit friends in another state is success. I like the freedom being my own boss brings me. The next level of success is right around the corner. Such as, buying the property for Imperfect Concepts HQ, seeing my weekly style segment on the morning news, and having a fantastic staff that I get to have ice cream socials with. That’s my success, now define yours. This is great Tasha!! In the last few years, I’ve learned that everyone’s success is not the same, and people have to define their own success. Bravo to you for extending a limb to your social media follower! Thank you Rocquelle. It took me awhile to learn how to define it myself and I am redefining it daily. Well said! What is success for others may not be successful to me. I hope more people define their own success. Thank you Trina, I believe if more people defined their success it would change their outlook on life. Hi Amy stay focused on your dreams and reminder it takes time. There is no such thing as overnight success. We must work at it daily. This was a great post! I needed to read it. Thank you so much for always being honest about running your business. Thank you so much for reading and loving the blog =) I can only be truthful about running a business. Why lie about it. Well you just described success for me in a nutshell. But it sho’ is nice to have bank! ha it is nice to have the money in the bank. I do however love the other things that make me successful. Love this. Everyone’s journey is different. You have to do what works for you!! This was very encouraging! Success for me would be start living out my passions as my purpose. From the looks of it you seem to already be well on your way :).